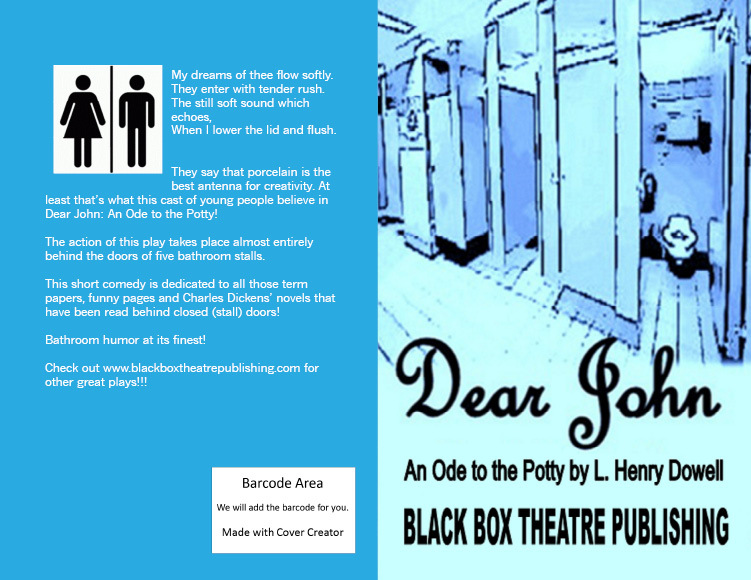 Black Box Theatre Publishing Company - Dear John An Ode to the Potty ﻿"My dreams of thee flow softly.They enter with tender rush.The still soft sound which echoes,When I lower the lid and flush." They say that porcelain is the best anteana for creativity. 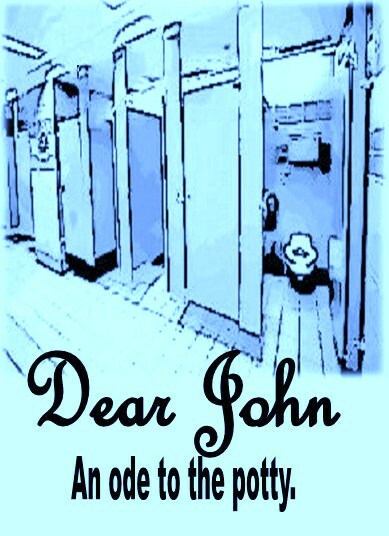 At least that's what this cast of young people believe in Dear John: An Ode to the Potty! The action of this play takes place almost entirely behind the doors of five bathroom stalls. This short comedy is dedicated to all thoseterm papers, funny pages and Charles Dickens novels that have been read behind closed (stall) doors! Bathroom humor at it's finest! Cast Size 10 5M/5F. Royalties $35.00 per performance. Apply here.﻿﻿ Running Time: 15 minutes.Click here to order scripts directly from us. ﻿Click here to order through Amazon.﻿﻿ Appropriate for high school, college and adult audiences. "My dreams of thee flow softly. They enter with tender rush. When I lower the lid and flush." They say that porcelain is the best anteana for creativity. At least that's what this cast of young people believe in Dear John: An Ode to the Potty! The action of this play takes place almost entirely behind the doors of five bathroom stalls. This short comedy is dedicated to all thoseterm papers, funny pages and Charles Dickens novels that have been read behind closed (stall) doors! Bathroom humor at it's finest! Appropriate for high school, college and adult audiences.